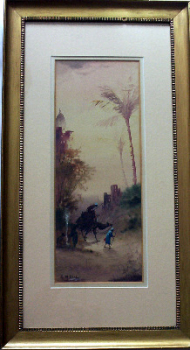 Landscape - Paintings for sale, Vintage Books for sale, Ranchi Art & Antiquarian Books' Shop. 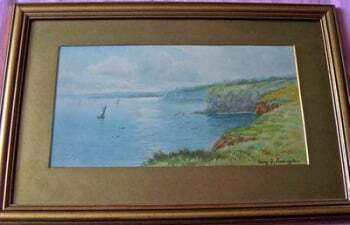 A COASTAL SCENE WITH BOATS, WATERCOLOUR SIGNED BY GEORGE OYSTON 1916 FRAMED. SOLD. 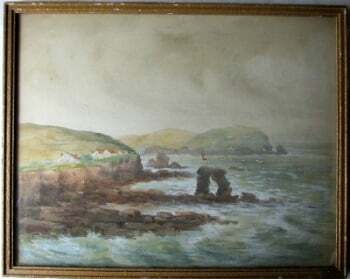 A Coastal Scene, Thurleston Rock, South Devon, watercolour and gouache, signed J.M. Laidman, c1930. SOLD. A Highland Loch, gouache on paper, titled, no visible signature. Framed. 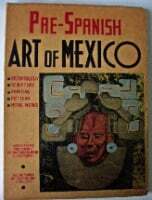 c1960. A Lincolnshire Farmhouse, signed monogram C.K., dated 41, watercolour on paper. SOLD. 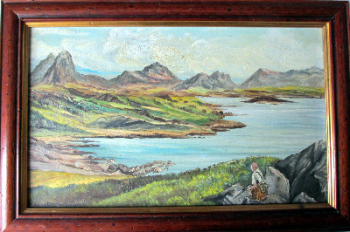 A Pair, Highland loch scenes with fishing boats, figures and cattle with misty mountains. 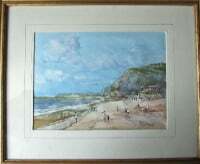 Watercolour signed Edwin Earp, c1920. A Winter Landscape, oil on board, signed WK. 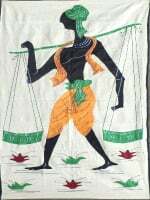 (20th C British School). c1980. Above the Bay of Stoer, near Lochinver, signed Colin MacRae, Jan 2nd 1979. Oil on board. SOLD. 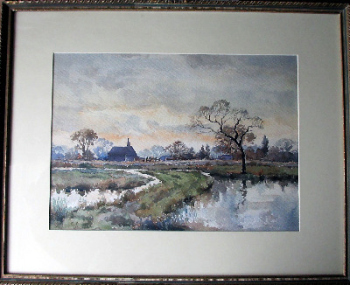 An English Landscape, watercolour on paper, signed Judith Currie. c1990. 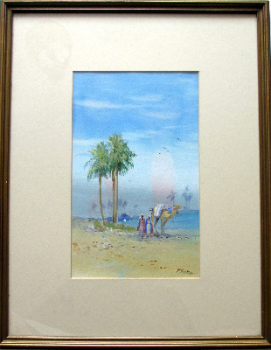 Arabian landscape with figures, watercolour and gouache on paper, signed F. Varley (Frederick Horsman Varley), c1905. 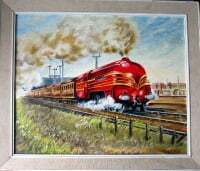 SOLD 11.02.2014. 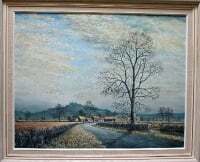 Aston Cross, Birmingham, c1950, oil on canvas, signed Guzzardi. c1975. BACKWATERS, IMPASTO OIL ON CANVAS, PAINTING, SIGNED L.AYRES. FRAMED. c1980. Bakewell, from the River Wye, watercolour on paper, signed W.H. 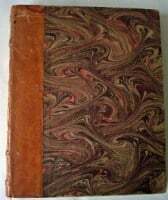 Pigott, 1882.